A long time ago, in a galaxy far, far away…oops, wrong opening. 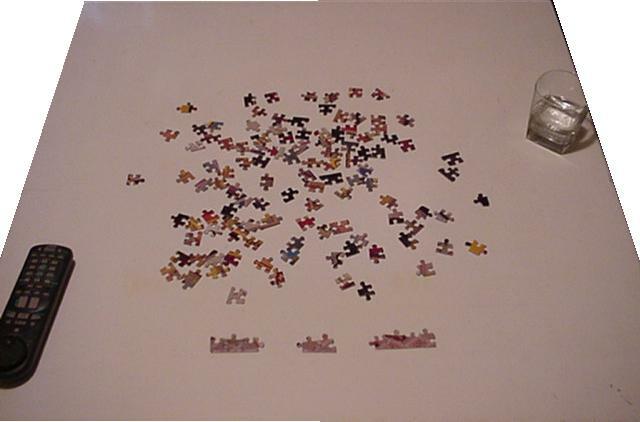 A long time ago, an ex-girlfriend gave me a jigsaw puzzle for my birthday or Christmas (she wasn’t an ex when she gave it to me). After four or five years, and having come to terms with the breakup, I have finally decided to try to put it together (actually, I was cleaning out a closet and found it). 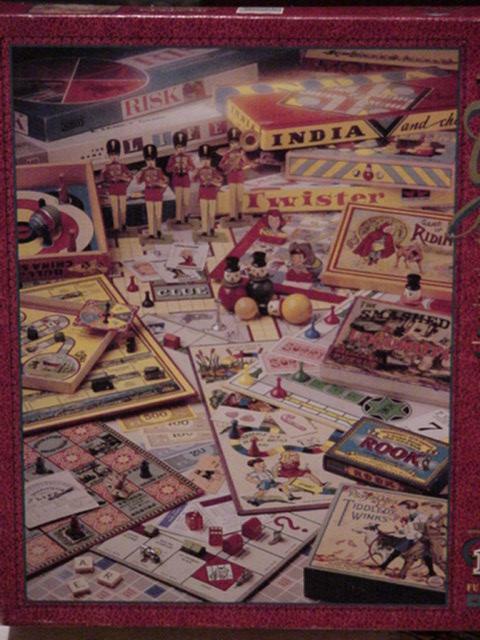 The puzzle is entitled “The Games Of Our Lives” and consists of a picture of many old time board games. It has 1000 pieces, measures 20 1/8’ x 26 3/16’, and is recommended for ages 12 to adult (I hope it’s not too hard for me). 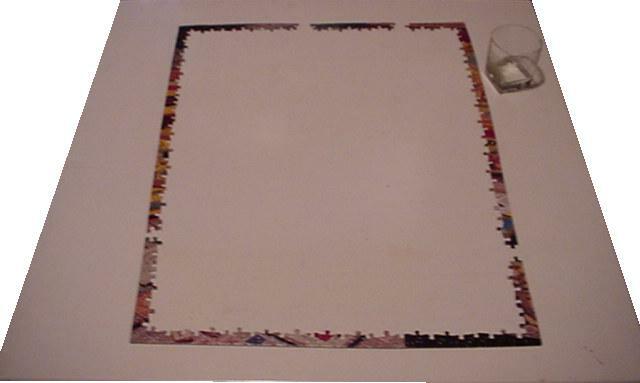 I dumped the entire box onto a table, with the plan to find all border pieces. In the picture, I have already found several border pieces (lower right). The drink is Sprite. I think I found all of the border pieces. now I need to put them together. The drink is still Sprite. Looks like I’m missing four border pieces. Back to the box to find the missing pieces. The drink is still Sprite. Found the missing border pieces. 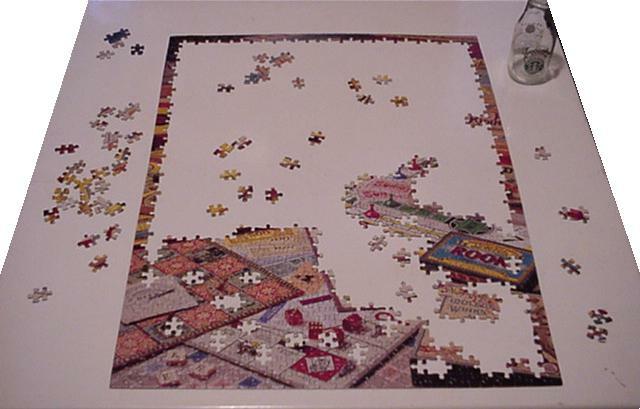 Started working on lower left of the puzzle which consists of Scrabble, Monopoly and the checkerboard game of Life. The drink is Starbucks Vanilla Frappuccino. I’d say that a little more than 60% of the pieces have been assembled. 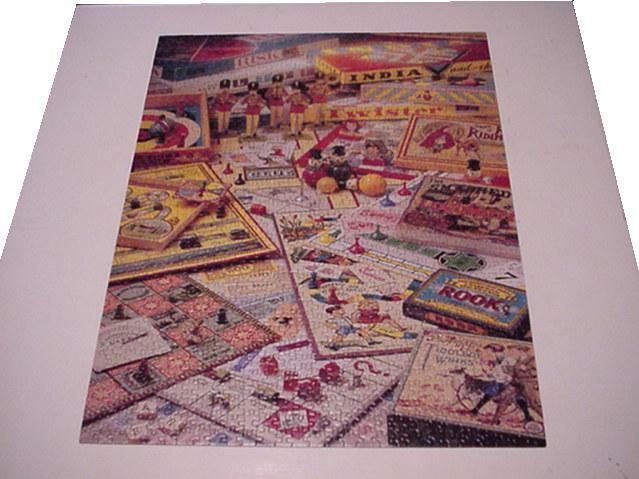 Scrabble, Monopoly, checkerboard game of Life, Rook, Sorry, Candyland, Flivver game, Clue, and Risk are clearly visible. All done! Took three days…not bad. I really got into it tonight. Every time I tried to stop, I found the place for one more piece. Next thing I knew, it was done. Here’s the way I took the puzzle apart. 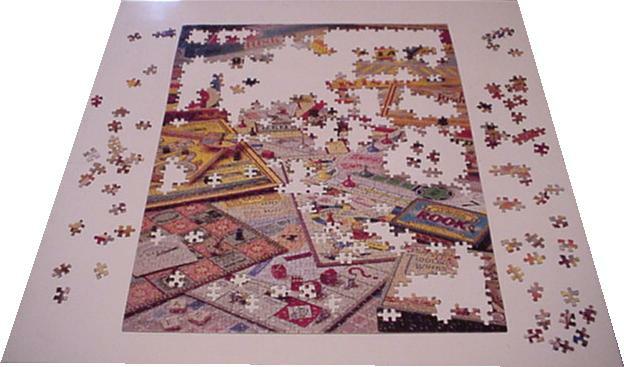 I was very careful not to lose any pieces since this is when most pieces go missing.